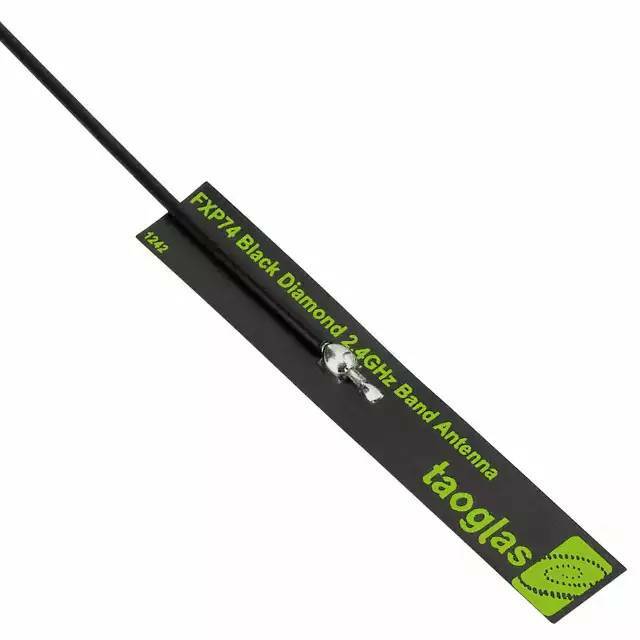 The FXP.74 Black Diamond is a small ultra-low profile antenna for 2.4GHz band that includes Bluetooth, Zigbee and Wi-Fi single band application. The FXP.74 has a peak gain of 4dBi at 2.4GHz and efficiencies of above 50%. 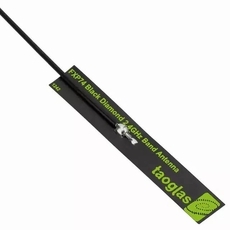 This Taoglas patent pending antenna is unique in the market with exceptionally stable performance different applications. It is made from a flexible polymer, has a tiny form factor (14mm*7.0mm*0.1mm) and has double-sided 3M tape for easy and robust �peel and stick� mounting. The FXP.74 is the ideal all-round antenna solution for fitting into narrow spaces and still maintaining high performance, for example on the inside top or adjacent side applied directly to the plastic housing of LCD monitors, tablets, smartphones, small AP routers, etc.